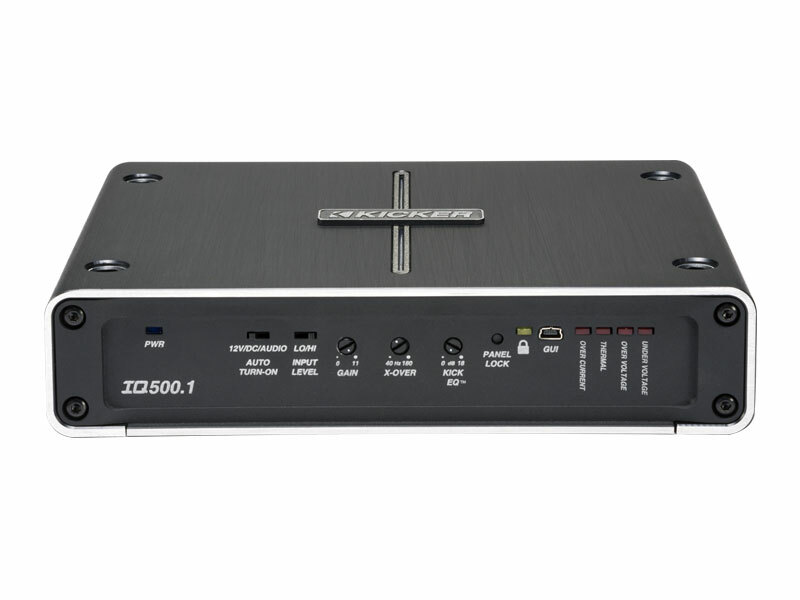 These all-new IQ Amplifiers are best described as very complex and technically “cutting-edge,” while being remarkably easy and rewarding to use. 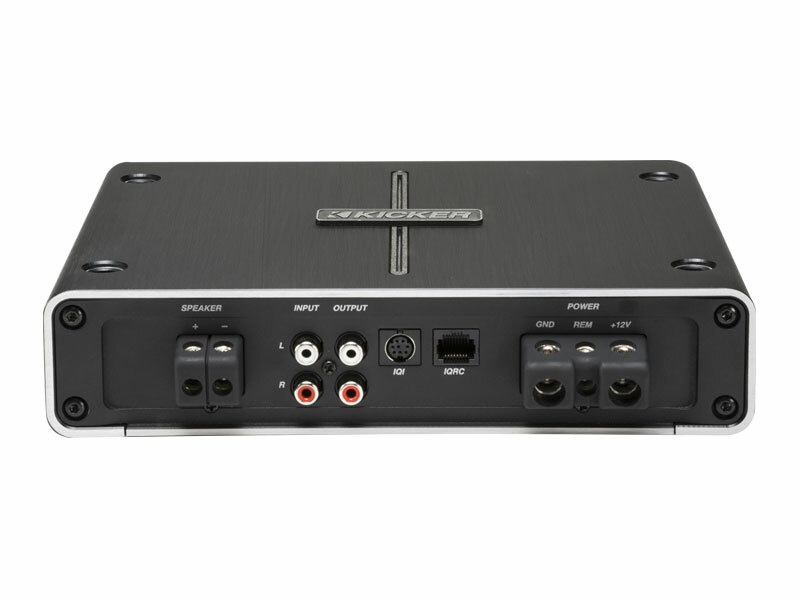 They employ highly configurable digital signal processing (DSP) using tablet or smartphone apps, or PC, graphical user interface (GUI) and Bluetooth streaming (with the IQ Interface) that essentially eradicates the need for a traditional head unit. What sets the IQ-Series apart from ordinary amplifiers is its unique DSP and its multiple levels of easy-to-use navigation. The handy IQ Interface wirelessly provides a simple-to-use GUI on a smartphone or tablet that allows multiple levels of DSP control in adjustable measurements previously unattained. You can also control the amp’s DSP from a PC plugged into the amplifier’s USB port, or a USB hub for processing multiple amps. 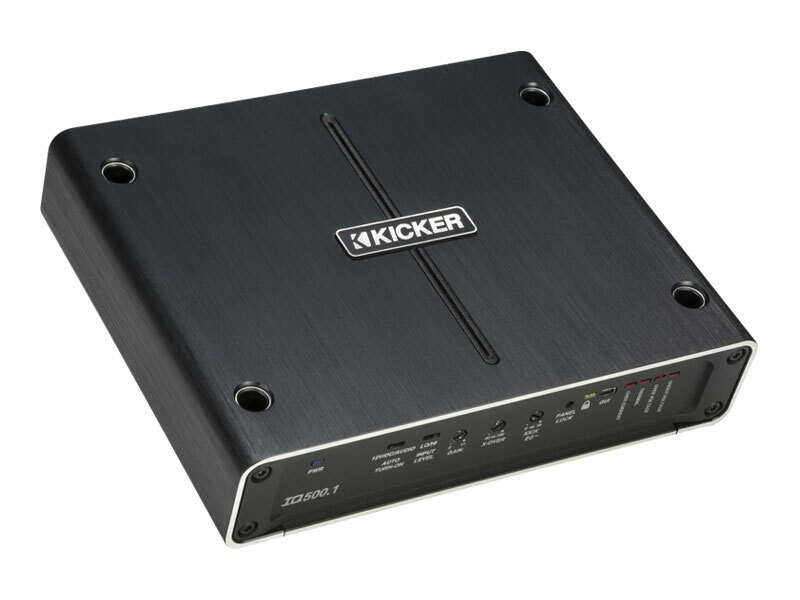 Using a tablet or smartphone wirelessly connected through the IQI, download the practical KICKER TWEEQ™ app (available on iTunes® or Google Play®) and control all special DSP parameters of IQ processing. This includes a 31-band graphic KickEQ™ boost on each channel, built-in crossovers with a choice of adjustable Butterworth or Linkwitz-Riley slopes, adjustable time delay and a compressor for the clearest sound at high volumes and with a realistic soundstage, and an input mixer for ultimate signal routing. 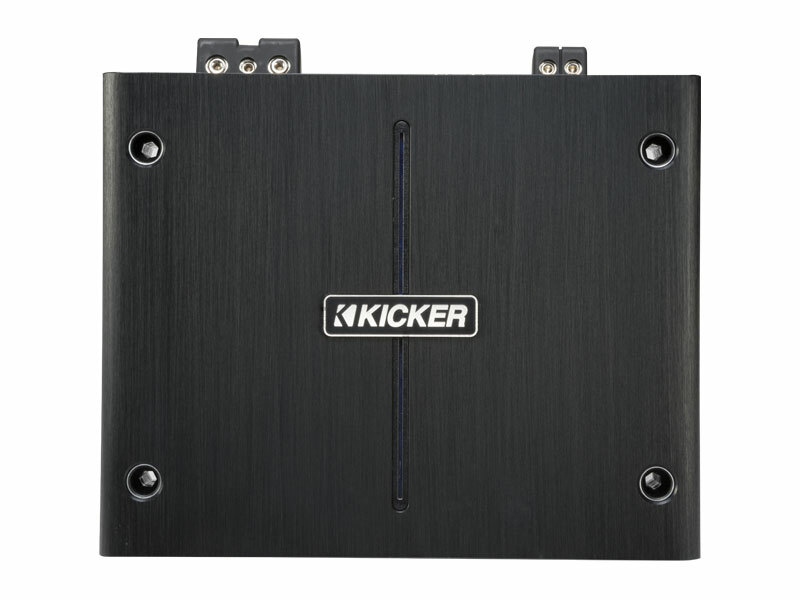 IQ.1 Mono Amps also include the IQRC™ Multifunctional Remote for controlling basic features like gain, bass boost and center-frequency bass boost.